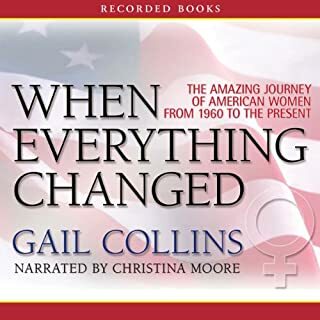 An enthralling blend of oral history and Gail Collins' keen research, this definitive look at 50 years of feminist progress shimmers with the amusing, down-to-earth liberal tone that is this New York Times columnist's trademark. In the quiet town of Seneca Falls, New York, over the course of two days in July 1848, a small group of women and men, led by Elizabeth Cady Stanton and Lucretia Mott, held a convention that would launch the woman's rights movement and change the course of history. The implications of that remarkable convention would be felt around the world - and indeed are still being felt today. More History I Didn’t Properly Know. It was the 1960s - a time of economic boom and social strife. Young women poured into the workplace, but the “Help Wanted” ads were segregated by gender and the “Mad Men” office culture was rife with sexual stereotyping and discrimination. Lynn Povich was one of the lucky ones, landing a job at Newsweek, renowned for its cutting-edge coverage of civil rights and the “Swinging Sixties.” Nora Ephron, Jane Bryant Quinn, Ellen Goodman, and Susan Brownmiller all started there as well. It was a top-notch job - for a girl - at an exciting place. But it was a dead end. Good book read by Ms Robot. I bought this book to go along with the print version that I have for a Women’s History class that I was taking but it is only about half the book. All most every chapter is missing at least half the content compared to the print version. I would not recommend this just buy the printed one you miss to many stories. The subject matter is interesting to me, but I found it slow to hook the reader. I am learning a tremendous amount and enjoy it each time I listen, but I am not longing for the opportunity to keep my headphones in an extra 10 minutes as I am with some of my other choices. So much of this early history of women in America is relevant and I wish more of it would have made it into the history books I read as a teenager. I am sticking with this book because I think it is worth it. I've been listening to a lot of books on relationships and marriage. But I had apparently been looking for something, (without knowing that I was) and wasn't finding it the relationship books. But I found it in the feminist books. And that is perspective. Why our relationships have so many dysfunctions. Why are women so often co-dependent. Why are there so many unrealistic expectations placed on women in relationships. None of these questions were answered by marriage and relationship books, within a broader historical context, even though many of those books were useful in their own ways and filled with good info and good advice, regarding how to simply make it work, despite the difference. But I need a lot more than that. I need to know why is it like that. Then there are questions of women in society. Why do women not value their work as much as men do. Why do we put up with so much abuse and discrimination, still. And why do we get paid less for the same work then men. 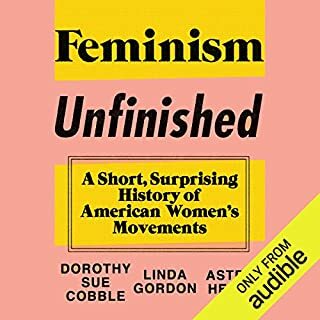 Only feminist books, so far, have answered these questions with a level of clarity and intelligence that I need to satisfy my genuine need to know the truth.This book paints a retrospect of many pictures and short stories about women's lives in the US, since the first European woman arrived on the mayflower. (The book doesn't talk about the prehistory in the Americas, though mentions the Native American women a little bit.) I found the book very interesting, and easy to read. It adds to the overall pool of information I'm collecting about women's genuine experiences, and personal histories. What was most disappointing about Gail Collins’s story? There is nothing disapointing; the book itself is very long, and the left out basically all of it in the audio version! I am currently taking AP-US history. I have been reading chapters from this book that go along with the lessons I am learning in class. It is very helpful. HOWEVER, this audio version is not complete at all, and i was dissapointed that I had bought something that I had already read. It includes the first 6 chapters, not the rest. DISAPOINTING. I will not be using this website again. This book should be required reading in HS - maybe earlier. Thoroughly researched stories, well written and well narrated - golden nuggets of history. 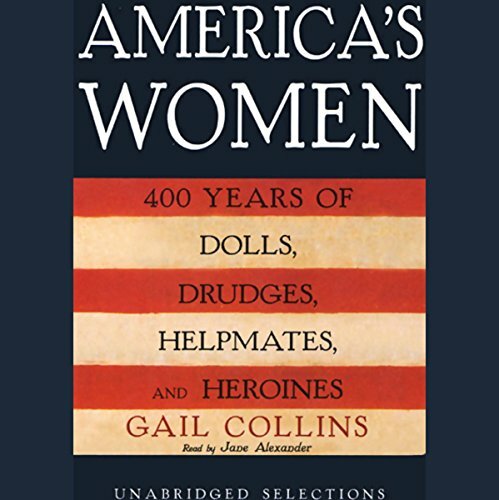 A wonderful, fun-to-read overview of women in American history. One of the best books I've listened to and I've listened to a lot. It helped me to choose other women's lives I'd like to read more about. 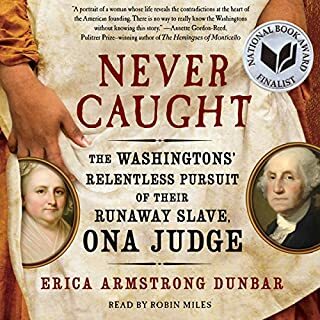 The sad thing is there often aren't the books (at least on audible) which will give me an indepth look at Katie Stanton, Alice Paul or Eleanor Roosevelt--only children's books for these women's lives. I don't know if the books aren't out there or if I just can't find them here. But I digress, I thoroughly enjoyed this book and enjoyed the reader's voice very much. 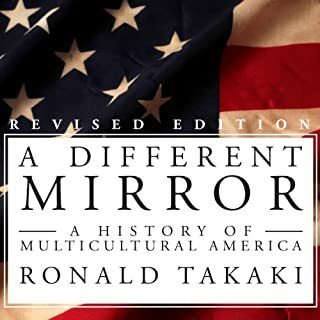 I wish I had read the reviews before purchasing this book, I own the kindle version and was reading along with the audiobook, but as someone already said it is missing large portions of this book, I guess that is what Unabridged "Selections" means? 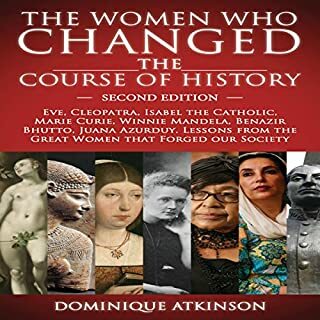 I also need this for my women's history class, and thought when I was not reading I could listen to the book but that is not really the case. 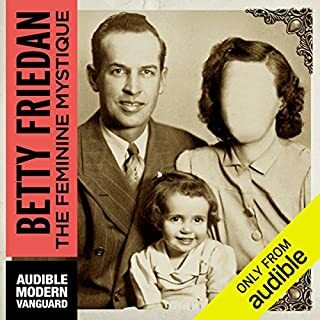 This audiobook skips over sections/chapters of the book and is not complete. Not worth the listen in my case.